On 4 April, DIAM chairman H.E. 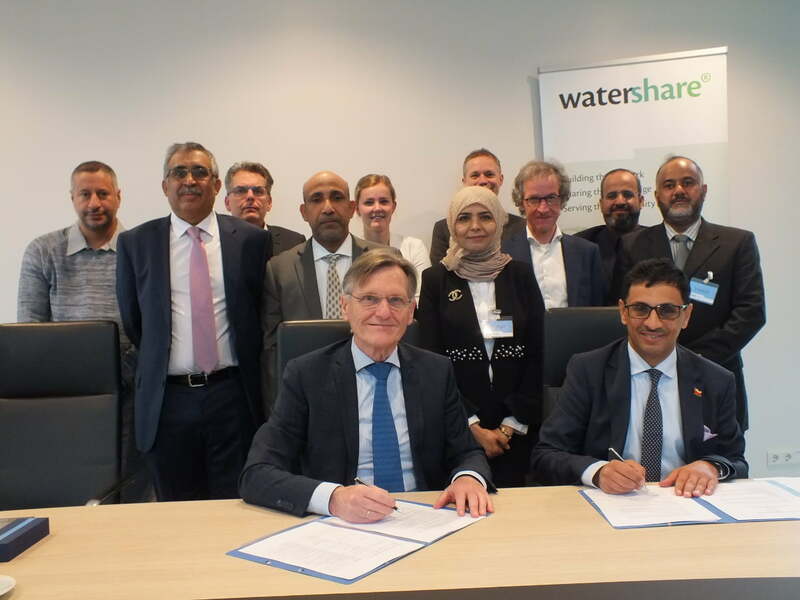 Mohammed Al Mahrouqi and KWR CEO Wim van Vierssen signed the agreement marking the entrance of DIAM to the Watershare platform. The ceremony took place as part of the visit of a high-level Oman delegation to the Netherlands. H.E. Mohammed Al Mahrouqi stressed the importance of global cooperation in view of the many challenges DIAM is facing. Watershare gives DIAM access to worldwide knowledge and tools to assess the resilience of its water systems, and to develop and implement technologies and practices to maintain and improve water services under future conditions. 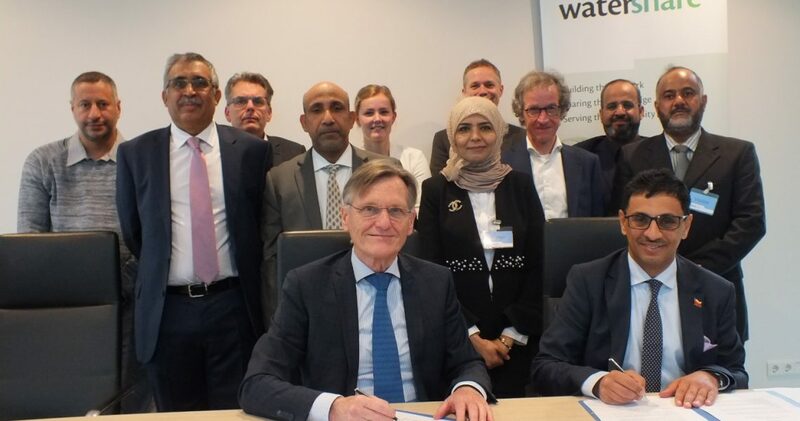 In this way, Watershare dovetails perfectly with the capacity building programmes of DIAM. As an example, he referred to a recently conducted project using Watershare tools to optimise network design methodologies. KWR CEO Wim van Vierssen and DIAM chairman H.E. Mohammed Al Mahrouqi signing the agreement.